PINK is for BREAST CANCER. 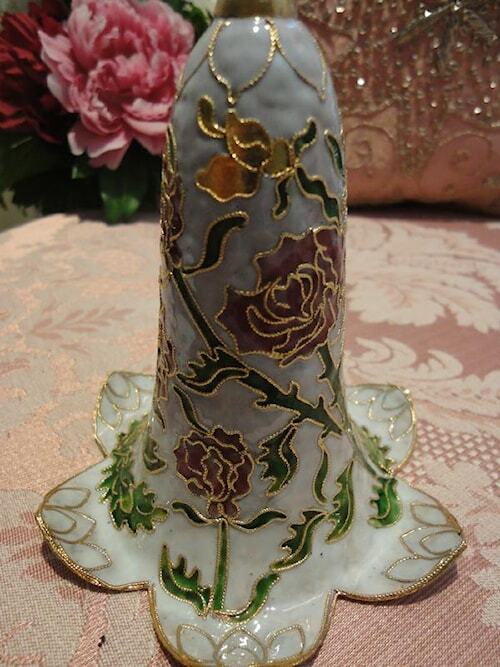 White Cloisonne Tulip Bell designed with bright pink flowers and greenry outined in metallic gold. 5" tall. Pink Gift Box. Made in China. 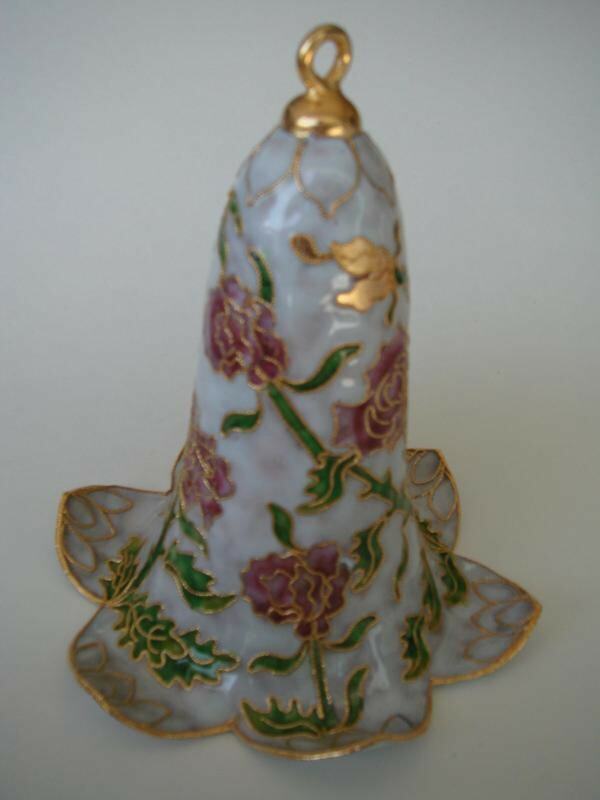 Bell Collectors take note of this pretty product. Remember survivors of Cancer with this gorgeous gift.